What kind of service are you looking for in San Jose? Whatever it is, Budget Dumpster can help. 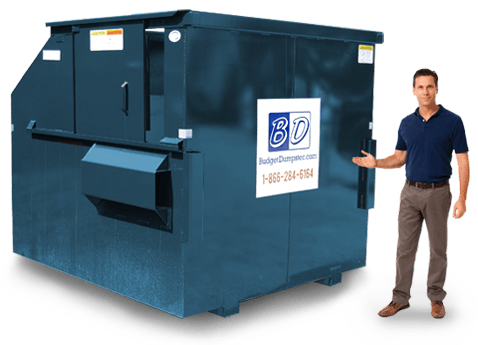 We have a wide variety of commercial dumpster sizes for you to choose from, including small compact bins such as the 2 yarder and the large and in charge 8 yarder. But whichever size you choose, you'll still be getting the same professional trash removal service that thousands of people across the country depend on for clean and effective sanitation. So what are you waiting for? 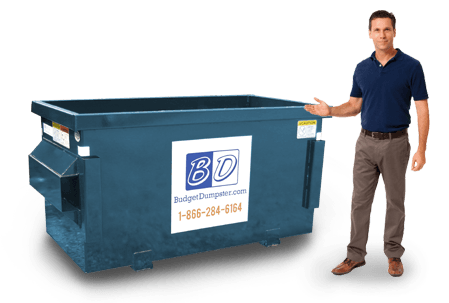 Grab the phone and dial for Budget Dumpster. We'll make sure your San Jose business gets the waste removal service it needs at a price that can't be beaten. Our mission is to not only handle your trash in a timely and efficient fashion, but to do it with the absolute best customer service in the industry. 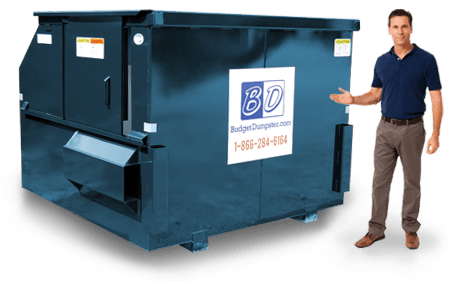 We're here to make everything about your commercial dumpster service easy so you don't have to worry about a thing. Just give us a ring anytime you need anything, from an extra pickup to a container swap out, and we'll be there to make it happen! Need a simple bin that won't take up an entire square block of space? Then you've already found the right dumpster for your business: the 2 yard dumpster. This little guy can hold up to 800 lbs. of trash easily, while still having room to spare for other little trash items. This is an ideal size for small businesses with small waste streams. But if you tend to have bulkier debris on a weekly basis, then you might want to spring for the 4 yard rental. The 4 yard dumpster is the medium sized option, combining a compact design with a sufficiently large capacity to handle 1000 lbs. of trash. 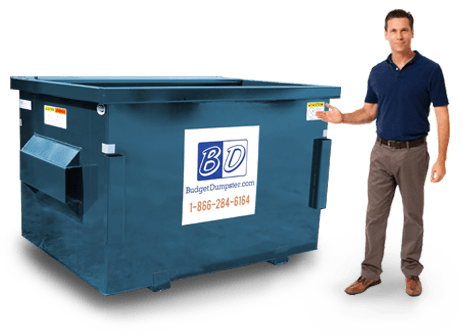 The 4 yard dumpster is a great option for medium-sized businesses that tend to have a blend of regular trash items in addition to bulkier refuse such as stacked office paper or small furniture. Common users of this size include offices of up to 5,000 square feet in size, medium-sized retailers, and convenience stores. The 6 yard dumpster is an intriguing option for any business with substantial amounts of trash to manage on a weekly basis. It is generally suitable for businesses that go through a lot of materials in the course of their daily work, such as shipping hubs or warehouses. Of course, these dumpsters are just as good for large office buildings that occupy over 10,000 square feet of space. All you have to do is let us know what kind of work you are doing and we'll make sure that you get the right bin for the job, whether it's the 6 yard dumpster or a smaller, more suitable size. The greatest dumpster that there ever was, or ever will be, is right here. The 8 yard dumpster is the largest bin we have in our expansive inventory, fit for holding more than 1600 lbs. of trash. These dumpsters are generally suited for properties with substantial waste streams that may require multiple pickups during a given week. Some of the most common users of this size include large commercial properties that are occupied by multiple companies, as well as large industrial spaces that are involved in the manufacturing industry.